Various reports have indicated that less than 10% of the revenues allocated for the underprivileged reach the beneficiaries. The administrative and aligned costs eat up unimaginable chunk of our taxes. CSR (Corporate Social Responsibility) is the best way to deploy the funds where it matters. 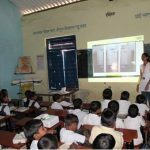 The reputed Indian Corporates have been following the CSR (Corporate Social Responsibility) practices decades before it became mandatory. The Corporate sector has long realized that the best way to contribute to the society is to educate and sensitize the future generation. Best way to help use the funds is by providing quality education. As it’s rightly said, “give a man a fish and he will eat for a day, teach him how to fish and he will eat everyday”. E-class has been actively engaged with CSR teams across sectors since more than 6 years. With our vast experience we know what students and teachers want today, and after understanding the requirement we provide cost effective easy to use digital products for the schools. The Development team continuously interacts with thousands of teachers and students to understand the needs specific to the class it caters to and develops its products in line with requirements and emerging needs. 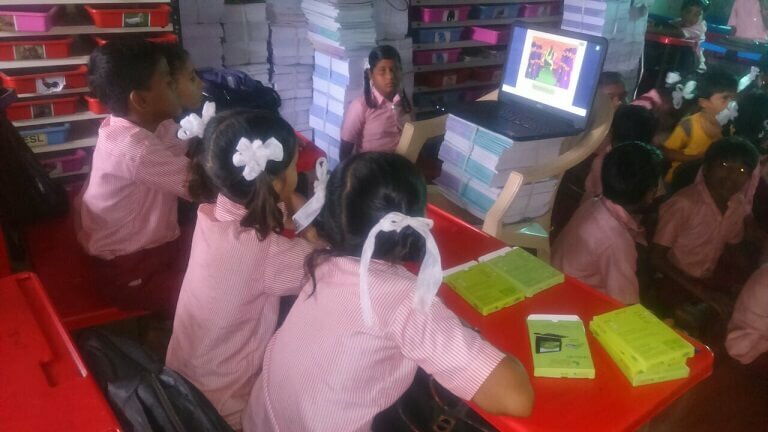 The development also takes care of computer literacy levels of these schools and the products are designed accordingly. We have service teams across the state, who help collect feedback reports and also provide any assistance and replacement if required in the schools. We first visit the location, take pictures and necessary markings for installation of the product. After analyzing the same, our team of experts visit the location and installs the pendrive, projector and required hardware. Each classroom can have a projector/tv or computer setup and teachers can teach the student in the classroom with the help of this. We provide stabilizers, solar chargers , battery backup and other products also wherever necessary. To deliver and provide the products and content to schools is just completing 50% of the work. The real project is completed when training is given to use the products and they are actually in use. We provide 1st round of training for hardware to teachers and school helpers Second training is done with the students. We then take a feedback and questionnaire round with the teachers and help them solve their doubts. After a month a new feedback and training meeting is done in each schools. Regular follow-ups, feedbacks and forms are filled for helping them use the product smoothly. 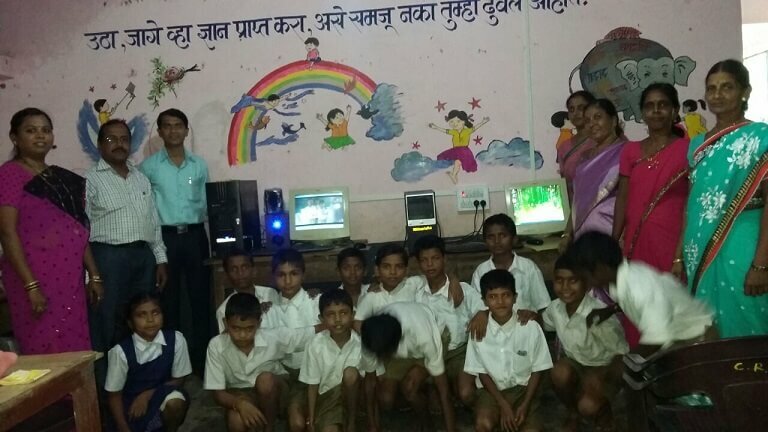 LNT charitable trust had implemented E-class digital technology and content is 5 classrooms in the year 2014. In this year 2015, the same was increased to 30 schools. 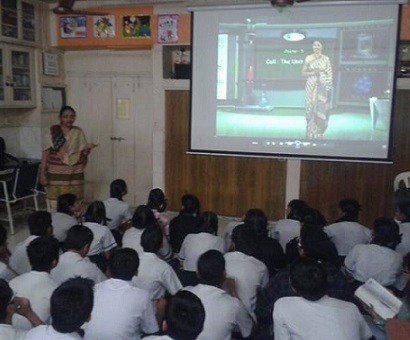 With our help they have provided a projector set, Eclass content and necessary hardware to these schools and have converted them from black and white to digitally upgraded schools. We provided training to teachers and students, monthly feedbacks are taken from them and also query doubt solving sessions happen every month with our experts. We have taken care of entire project and over 25,000 students have benefited from the same. The trust has agreed to increase the number of schools to 150 next year and help more and more students study in the new way, and help spread education to all. Our systems are very simple to use, and require no internet or heavy infrastructure to run. SNS foundation has various donors like KPMG Cares, Perfetti van Melle, Philips India Limited, Punj Lloyd and many more. 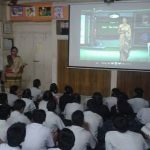 They have implemented Eclass in schools in Nashik and Aurangabad with proper training and using the funds they have from their partner companies. 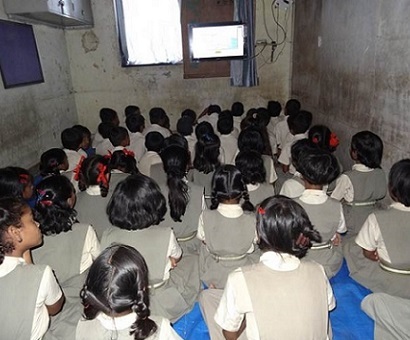 The foundation aims at increasing the number of schools to 240 and covering it under Eclass. Just like the above, we have worked with various organizations and Ngos to provide quality education to students of the state board. Please email us for more details. There are various ways in which you can participate in the program. 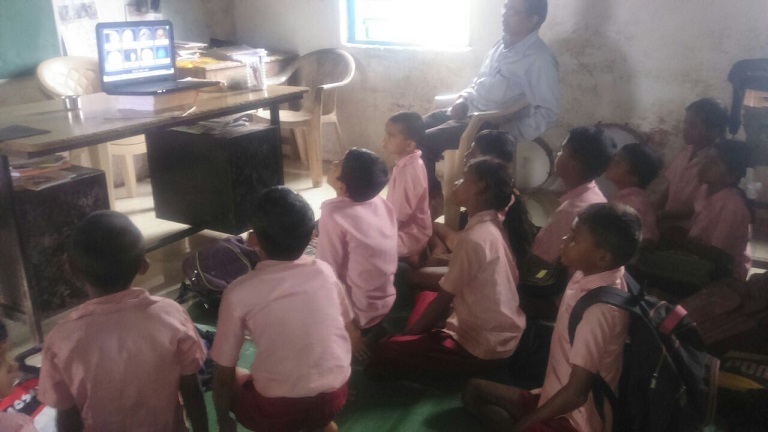 Help schools which have infrastructure but no content available. Join hands with local Government bodies for implementation of this program in Government schools. You can join hands with NGOs to partner in this program to monitor the progress and/or share the investment. You can adopt few schools or adopt entire Taluka. Provide tablets and memory cards to students. Chose your own school and install entire system there. Use the existing infrastructure of school if available. You can get in touch with our team to assist you and help you design and implement the entire project.